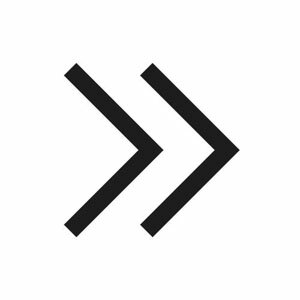 Assembled by Geoff Barrow, he of Portishead, Billy Fuller and Matt Wiliams, Beak> got together sometime in 2009 and spent some time improvising in the studio. Within a few days, they had enough material for an album, and their self-titled debut was released a few weeks later on Barrow’s Invada Records. The trio consequently toured quite substantially, but things proved more difficult when it came to record a follow-up, leaving the band in limbo for a while. Eventually though, Beak> found their feet again, and were once again able to let their creative juice flow freely. Very much like its predecessor, >> was recorded live, with very little overdubs, and once again, it is infused with classic strands of Krautrock, evoking in turn Can, Cluster, Silver Apples or to a lesser extend Neu!, as they line up motorik grooves, bleak synths, feverish guitars and fogged vocal. Their tracks are, for the most part, desolate minimalist and often lock into hypnotic grooves for the duration, with only slight alterations to their overall sonic fabric. This is often characterised by tight stripped down pieces where drums, bass and guitars occupy pretty equal spaces, with virtually no room for any other component (Yatton, Elevator), but the trio also demonstrate a level of fluidity which is reflected on tracks such as Spinning Top, with its hypnotic bass line in the foreground and processed guitar textures in the back, or Liar, which moves from corrosive guitars in its first half to sprawling synth motifs in its second. At times, they overtly seek harsh edges, especially on the rather excellent Wulfstan II, driven by an acerbic guitar/bass combo from the start, and whilst this is tempered for a while toward the half way point first when the guitar becomes less abrasive, and in the latter part of the piece again as dissonant electronics , this never lasts for very long. At times, the trio opt for less linear forms, often to startling effect. With its doddery synths lines and stumbling drum patterns, opening piece The Gaul is febrile and unsettling. Egg Dog or Deserters later takes this to comatose level. Once again, the synths sound unsteady and out of focus on the former, the guitars feverish in the latter, but in both cases, things appears to move at highly reduced speed, including the layered distorted vocals. Elsewhere, Beak> drift into disturbingly awkward lo-fi sixties sci-fi territory with Ladies Mile. The album conclude on quite an ambitious note with the haunting and visceral Kidney; at first, distorted guitars linger in the background, but they progressively become more prominent as the piece progresses until they block the rest almost entirely. With this second album, Beak> reassert their sound in quite a radical way. The concept has not changed drastically from their debut, but the way they deliver their tracks show a much increased confidence in their approach. Ultimately, >> feels at once more varied, focussed and consistent than its predecessor, and shows that Barrow and co. may have much more ground to explore here.